This filly is Skipper W bred top and bottom. She will mature close to 16 H.H. 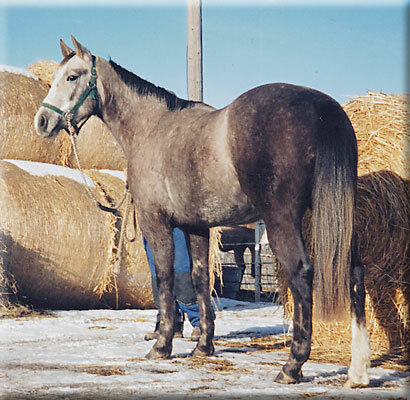 Athletic and a nice mover with lots of speed, she will make an excellent Barrel Racer, Reiner or Penner prospect. She is a collectors item. Sold to Denise Jendrasheske from Leduc, AB. Congratulations on your purchase! This mare is line bred Skippa String! All her foals are athletic.